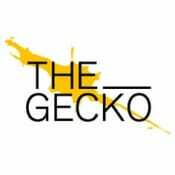 Welcome to The Gecko crowd funding project. You made it this far – we like you already! The Gecko have written many songs, but at this stage, we actually only need one. That one song has to be good enough to create a buzz that is infectious and self sustaining. The great news is, we now have a couple of candidates, but for one of them to be effective, we need to make it the right way. That means nurturing it, producing it with creative people and recording it well. The Gecko aren’t spring chickens any more (thankfully), but now, more than ever, we are committed to making meaningful music and communicating through it. Over the years we have been lucky enough to travel through Europe with our music and meet extraordinary people. We absolutely love it, but we haven’t got to the point of take off…yet . With your friendship and support we want to get there. We want to create something bigger than just the «one British and three German friends making music they are passionate about» and communicate with a much larger audience. The biggest and most important step we can make towards that is having a single that’s catchy and well made with the most important ingredient already in it: your support. And what do I get ? When you support us, you will not only get our massive thanks, but we have also selected personal experiences and mementos from the band to share with you. To involve you further, we’d love you to send us a passport style photograph that we could use in the art work. There is of course the amazing satisfaction of helping grown men chase their dreams.